In the beginning...there were Vampire. Lorcan is a mighty warlord in the Vampire species. His animosity towards the magical immortals is personal - his mother was their Queen. Having long since severed all ties with his former kin, his existence remains plagued by the repercussions of her treachery and a secret that threatens to be his downfall. Chosen was a great introduction to this series. It eased you into the world of the Realms and introduced you to its history of Light vs Dark very nicely. It is a rich world with a lot going on. Witches and Vampires have been warring for centuries - each chosing a side and fighting til death. When the Chosen is prophesied, a witch with unimaginable powers, everyone begins to watch for her - each with their own reasons. I wasn't a big fan of the Chosen, Kaitriana (although I love her name). While I enjoyed her banter and her fun-loving attitude, there were times she carried it too far. Jorcan was a little too serious - he needed to lighten up a bit. Their story was a great romance though - a true opposites attract and love conquers all. 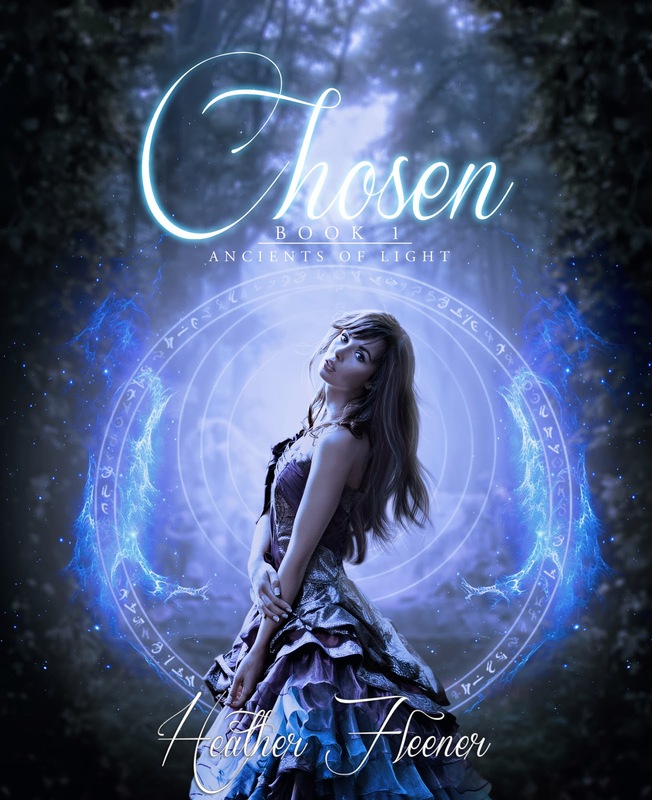 Ella long ago determined she would not live a life where magic defined her. Feeling no kinship with her Caste, she walked away from the Realm and its conflicts. She found acceptance and fulfillment in her life amongst the mortals and is on the brink of achieving her dreams. Nicholas is the most revered warrior in the Darks’ army. His personal animosity towards the Light drives his existence and draws him to the one Witch he is set on controlling. Nicholas knows the reasons that Ella never found acceptance within the Fire Caste of Witch and he will use that knowledge to pursue his Dark agenda. 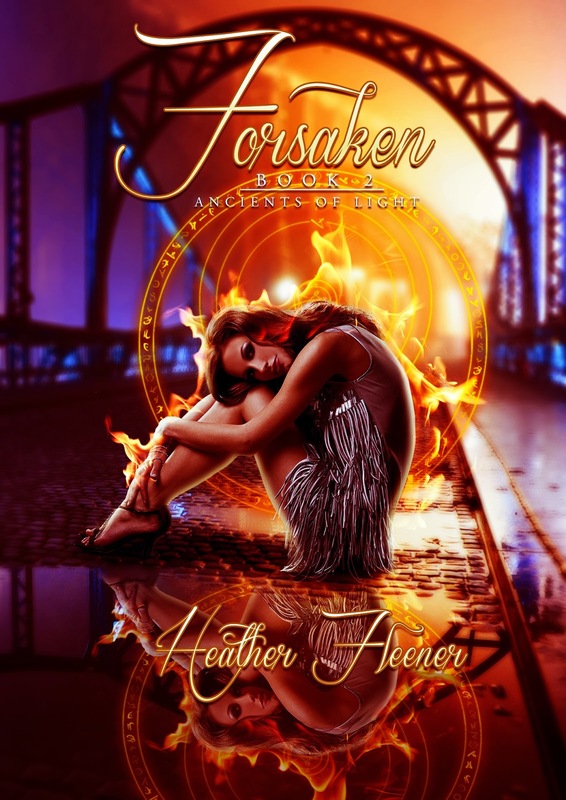 Despite her origins, Nicholas discovers more in Ella than just a powerful Fire Witch, leading him beyond the Dark evil that has plagued him for eight centuries. Ella disregards the inherent calling of her breed for the only true belonging she has ever experienced, the love she finds with her Dark Vampire. The beginning of the very Prophecy that will save the Light tears the pair apart and the fallout threatens their existence. When two of the most powerful immortals on opposite sides of Realm collide in divinely-inspired fate, neither will escape unscathed. Only when the Forsaken finds grace will Ella and Nicholas be able to fulfill the destiny that has always been meant for them. 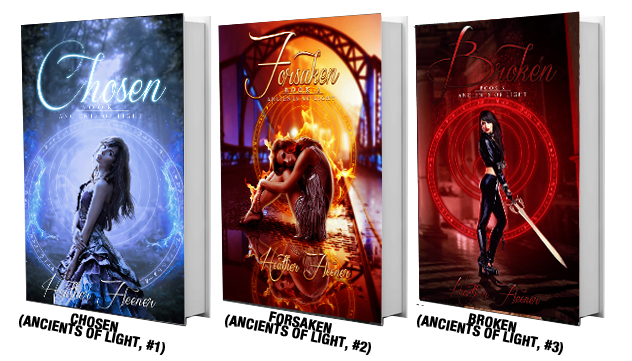 Forsaken was my favorite book in the series. Ella was beautiful, amazing, talented, and so very life like that I had a hard time putting her story down. Nicholas showed so much more emotion than Jorcan did, and it was easy to relate to his view on life, magic, and the Realms. They are the perfect couple. Their broken pieces fit so well together that no one else could make them whole. But Nicholas has to go and screw it all up by not being completely honest. But some know that this is all just one more step in their destiny. Ella has a purpose and the world may not survive without her. The Realms come more alive as our character start to journey back and forth between them and the human world. It was very interesting to see how both Vampire and Witch lived. I ended the book with a smile on my face and hope that a few more of our characters will get wrapped into a happily every after romance. The adversity of Kylie’s youth forged an indomitable spirit. A vibrant and strong woman determined to plot the course of her life with room for nothing beyond the next measure of success, Kylie believed in only herself, and most certainly neither destiny nor love. All those tenants were derailed with a single encounter, but the same man that tempted her to live again drew her into the middle of an aged war, the consequence being her own destruction, plummeting her into a hellish existence. Sayer’s mission was only to foil the latest plan of the Darks in the Outer Realm and return a few Vampire to Hell. Finding a perfect mortal that tempted him beyond all reason was unforeseen complication. 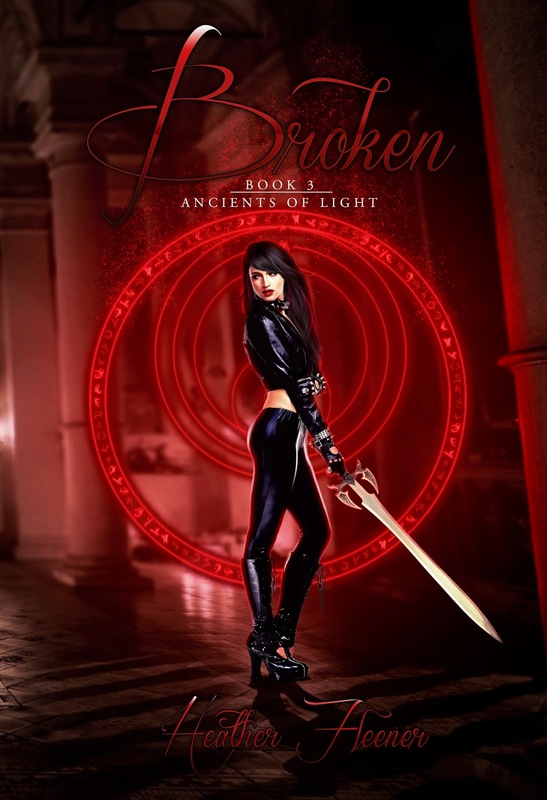 Just when Sayer realizes that his eternity is meant for one alone, Kylie is destroyed by the Darks, and the loss drives him to the pits of despair, revealing events of the past that would best be long forgotten. 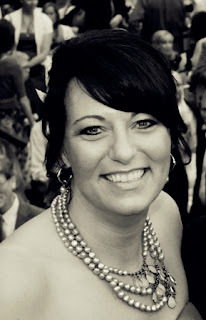 Sayer’s appearance in her life was the catalyst to fulfilling a destiny that has existed since Kylie’s creation. 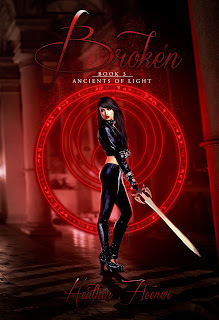 Their fate thwarted by Darkness, both shattered by tragedy, Kylie and Sayer must return to the love that once was while finding absolution and seeking forgiveness, or perish apart. Only once all that was broken is returned to unblemished will God’s own Warriors rise. The beginning of the beginning…. Having just finished this one, I'm still digesting it a little bit. Kylie was a very complex character, but I'm still not quite sure what to think of her and Sawyer. It was a great addition to the series and I love how each story just continues to build upon each other. With each book the world becomes more dynamic and full of life. The characters reappearance in each book only helps to show everyone's place in the world and in the fight for Light.